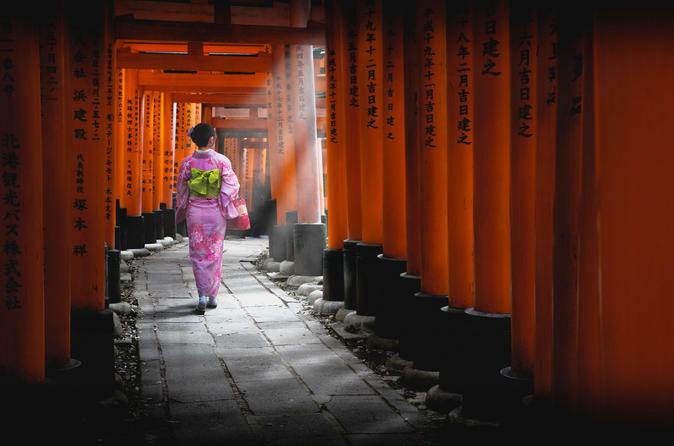 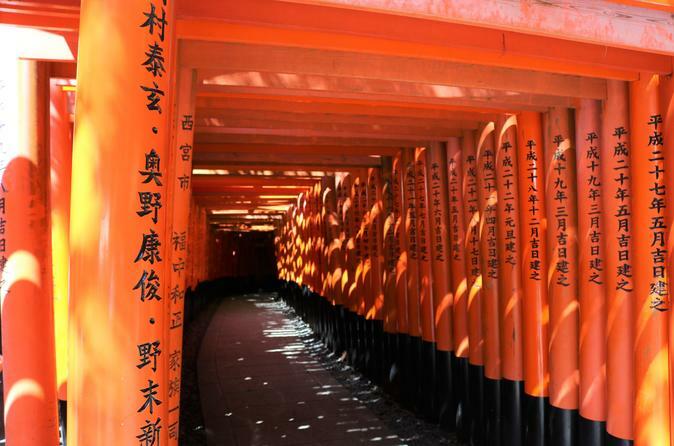 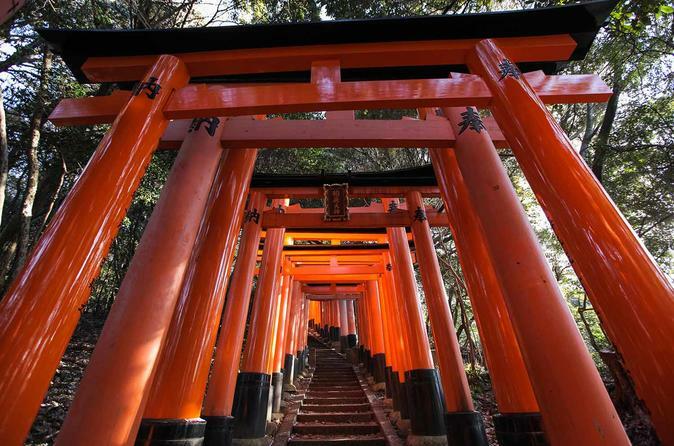 Fushimi Inari-Taisha at the base of the Inari mountain is a Shinto shrine dedicated to Inari, the rice god. 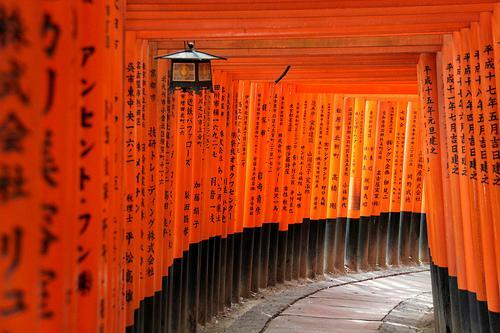 Fushimi Inari-Taisha at the base of the Inari mountain is a Shinto shrine dedicated to Inari, the rice god. 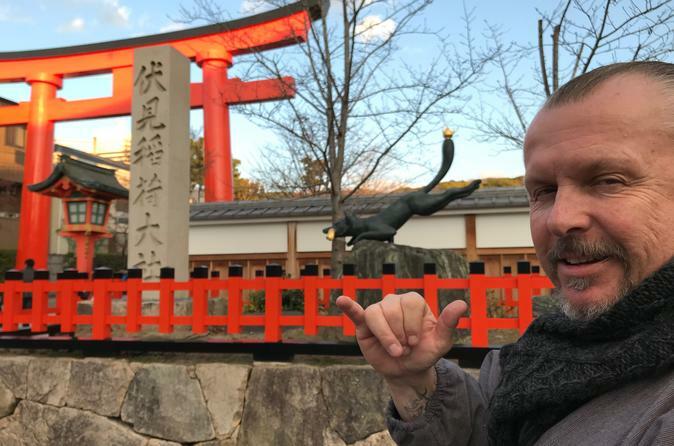 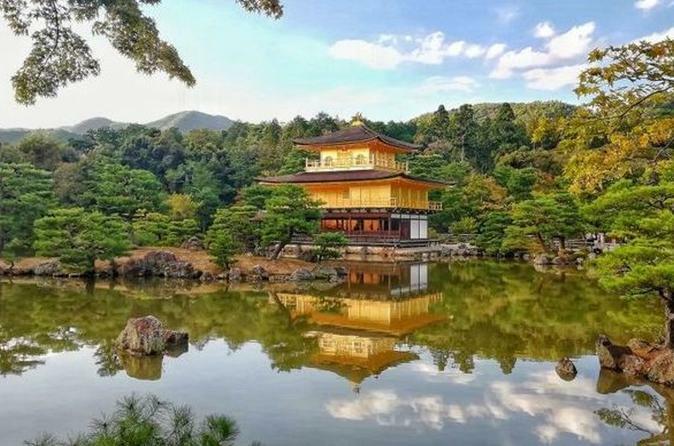 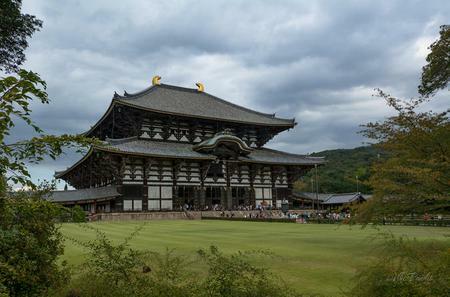 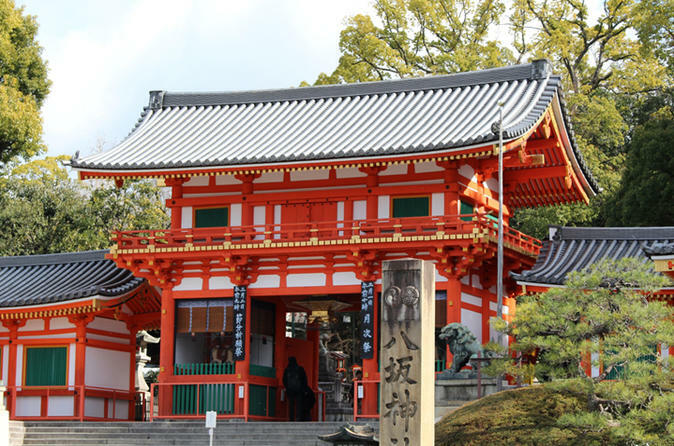 The photogenic complex has 5 shrines and several statues of sacred foxes in bronze and stone. 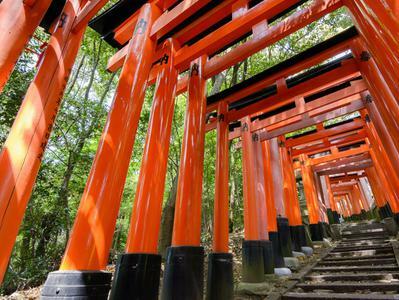 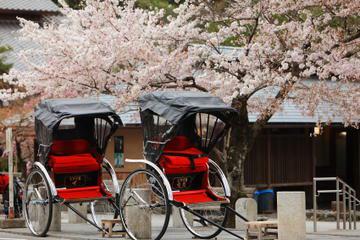 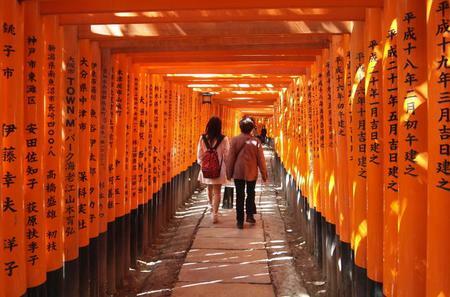 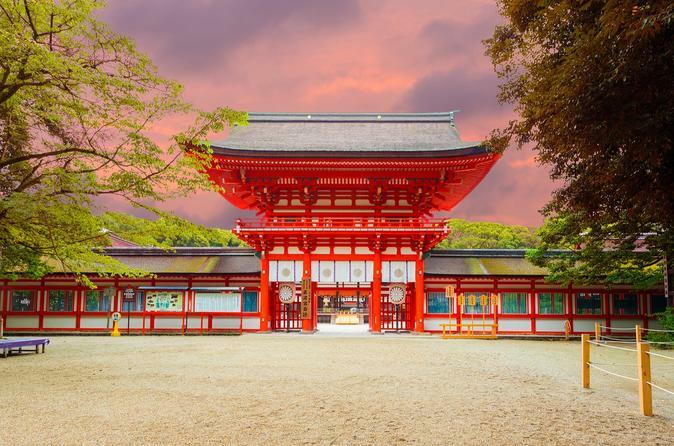 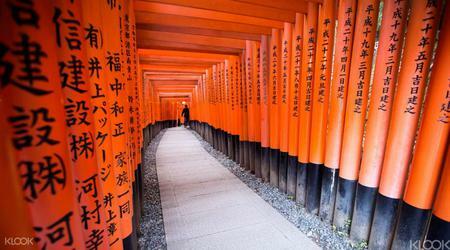 It is famous for the 10,000 vermilion torii gates which line the trails behind the shrine.